You can access you Profile on the top menu to the right. This is where you can keep your contact details up to date, or change your password. Other information includes telephone and mobile numbers and your address. You can also choose to upload a photo of yourself or your company logo if applicable. Click Save Details to store any changes to your profile. 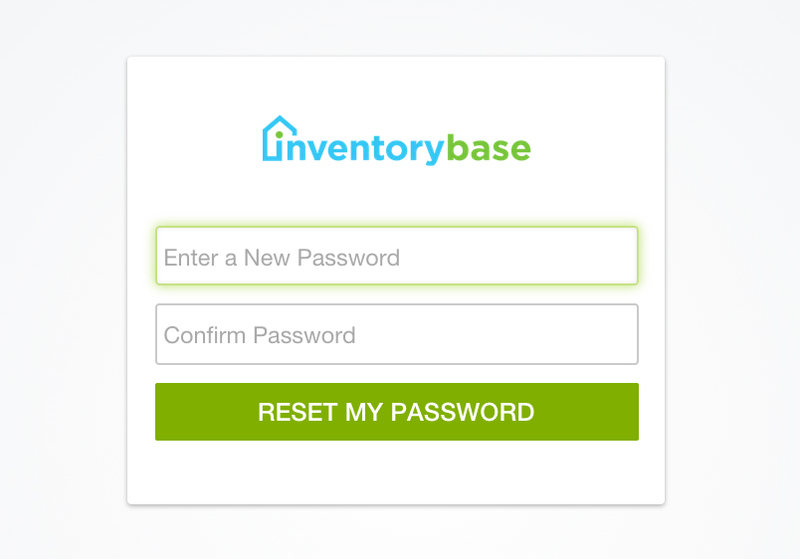 You can come here and click on ‘Change my password’ anytime to be redirected to this screen, where InventoryBase will allow you to type a new password, including a second time to confirm. Press the RESET MY PASSWORD button to complete the change of password and log back in.